Pride Of Ownership! Large, Sun Filled, Raised Bungalow On Huge Corner Lot. Central Mississauga Location! Double Door Entry. Bright Main Floor Kitchen With Breakfast Area. Good Sized Dining Area Overlooking Living. Walkout To Balcony. Spacious Principle Rooms. 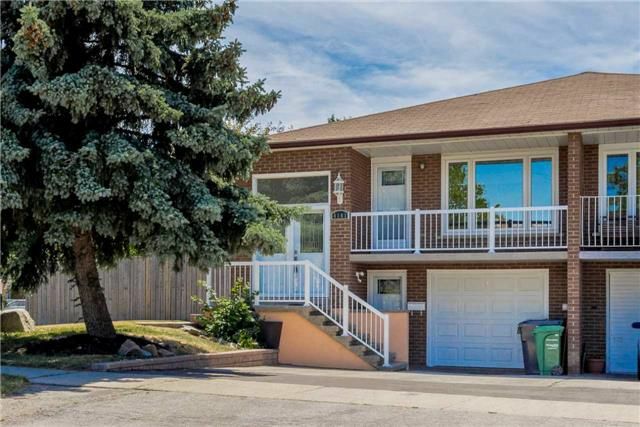 Recently Renovated Lower Level With New 3 Pc Bath, Second Kitchen Featuring Granite Counters & B/I Dishwasher & Huge Rec With Gas Fireplace & Walk-Out To Patterned Concrete Patio & Sidewalk. A graduate of the Schulich School of Business, I worked in market analysis at CMHC before getting into real estate sales. A native of Toronto, I have an intimate understanding the of the GTA's real estate market. Buying or selling? I'm always available for help.